The CanDo inflatable saddle rolls are easier to control than exercise balls because motion is limited to the forward and backward rotation. 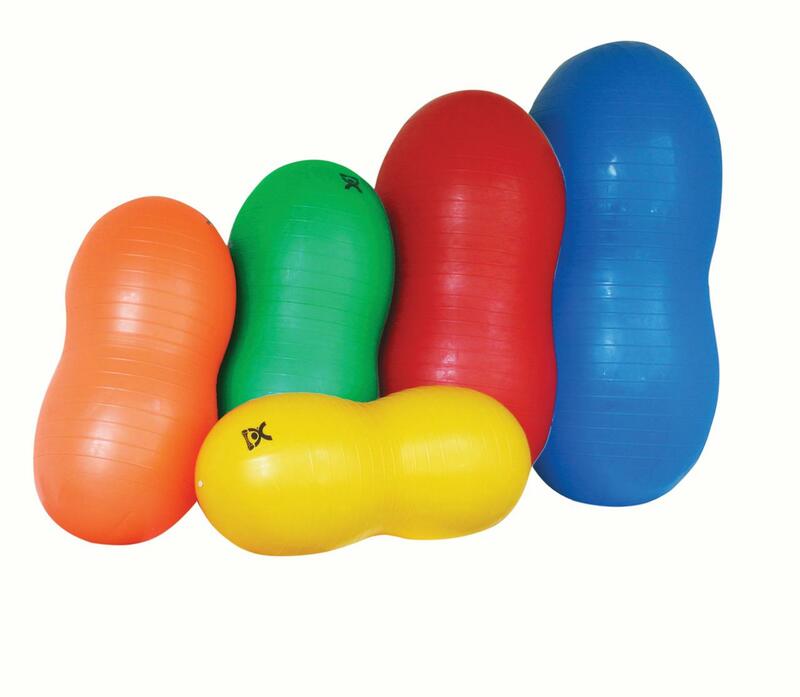 These colorful inflatable molded heavy-duty rolls can support up to 300 pounds. Rolls aid in developing muscles, coordination, and balance. Further, the "saddle" offers extra support for the patient. Inflatable rolls also make a great addition to individual physical fitness regimes. Available in various color-coded sizes.